There was a time when smartphones were seen as nothing but a fad, an inferior computer you would take with you wherever you went, though there was no need to do so. A huge chunk of the population can’t imagine their life without a smartphone now. Here are a few everyday uses for a smartwatch that will make you want to get one immediately. Yes, I know. Everything is an MP3 player these days. 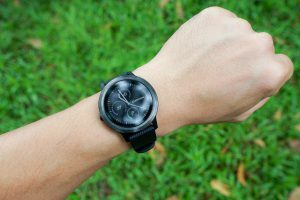 But streaming music or storing it on your watch can be awesome, especially when you consider that it is right around your wrist all the time. Do a web search on your favorite artists, buy an album, or tune it to a radio station. Carrying your phone on the run, or during your workouts can be clunky. 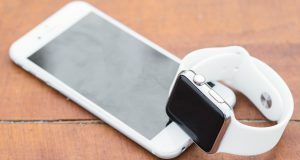 While there are products like the armband that you strap to your forearm, it is still not the optimal solution to those that want to listen to music or the radio, while also being available to your friends and family. A smartwatch can be configured in a few seconds, and you can exercise in peace. It is somewhat rude to keep staring at your phone while you are with your friends. People around you don’t know that you are waiting for an important call, or an app to finish a purchase or a notification of any kind. 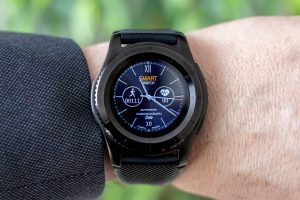 This is why smartwatches are convenient – you can just casually take a gander now and again, and no one will judge you for it. Do you want to be available to your business partners anywhere at any time? With a smartwatch and a pair of headphones, you can be there when it counts to send and receive emails, go a quick search online, as well as receive and send calls – because, with new SIM cards, watches can be phones too! In a new city or country, it is easy to get lost. Imagine your smartwatch in the same role as your car’s GPS. You will be able to navigate through the streets, alleys, and squares in no time, with ease. For the added futuristic feeling, have your watch dictate where you should go. Last on our list is the internet of things. We have come to a point in history when you don’t need to text your family or roommate to set the heater to your preferred temperature, microwave the chicken leftovers, and start warming up the water for your shower. You can even instruct your TV or recording device to tape your favorite show while you are away. All of this with a small device on your wrist.